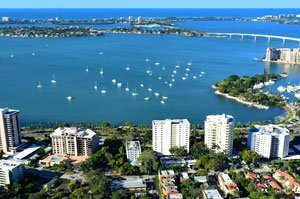 SARASOTA, FLORIDA, February 7, 2018 – Just about a month after its groundbreaking for a downtown boutique condominium project, Seaward Development rolled out its initial plans this January to start building yet another entry to high-end selections of Sarasota condos for sale. The spadework for which this Sarasota-based developer is now focusing on is the 42-year old Versailles condominium on 605 South Gulfstream Avenue. It has already shelled out over $9 million buying out the 14 Versailles condo unit owners. Seaward subsequently filed on January 16 a preliminary application to demolish the Versailles structure. This would pave the way for an 18-story luxury condominium project, considered as one of the last bayfront developments of its kind in the downtown area. This yet unnamed new condominium’s preliminary plan calls for a total of 25 units each with living area of 4,000 square feet designed with four bedrooms. Seaward is set to start this March its marketing for this new condominium which would provide more than 100 feet of direct waterfront views. This developer hopes to draw buying interest from the Southwest Florida region’s island residents inclined to move to the mainland without significantly downsizing from their single family homes. According to Seaward’s principal, Patrick DiPinto, realtors have called them this early with pitches of interest from dozens of prospective buyers who want to relocate downtown. If the demolition of Versailles proceeds as planned, construction of the new condominium on its 605 South Gulfstream site is likely to begin by year-end. 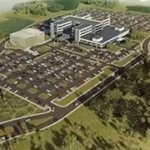 With such a startup, the project could be completed by late 2020, DiPinto said. This finish in about two years’ time should put it on the heels of the completion of the other Seaward development—7 One One Palm—which had its groundbreaking in December last year. Located just southeast of Versailles, this sister development on 711 South Palm Avenue is expected to be finished between late 2018 and early 2019. 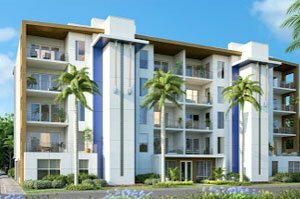 A total of just 16 units are set at 7 One One Palm which is rising as five-story building. The MLS of Sarasota condos for sale currently lists four pre-construction units in this condominium. All have three bedrooms and three baths with choices of floor areas at 2,025 and 2,124 square feet, and their price quotes are in the $1 million range. At this same luxury price point, five of the condos in this Seaward development are notably already under contract. Further reflecting an upbeat market for luxury Sarasota condos for sale, seven units were recorded sold in the MLS last year in another new project on South Palm Avenue—624 Palm. Marketed previously as Echelon on Palm, this condominium houses a total of 17 units on its 18-story building. The condos sold in this property located at 624 South Palm Avenue have price quotes of between $2.7 million and $3.7 million. These residences are designed as a live-alike of single family homes with their floor plans of over 4,000 square feet featuring three bedrooms, four baths and a half-bath.